I often get emails from my readers who are vegetarian or vegan and struggling to heal. Much as I respect the ideological and environmental motivators for veggie diets, in physical terms, they are simply not good (long-term) for the human body. Vegetarian diets can be very useful short-term for healing from certain types of cancers, or as a detox. But for a healthy long-term, daily diet, you need to get some animal-source nutrients – especially animal fats. Dr. Weston A. Price was a dentist in the 1920’s who spent 10 years of his retirement travelling the globe – looking for tribes or villages of people who were extremely healthy. He defined ‘healthy’ as having no degenerative disease and a cavity rate of less than 1%. Pretty good standards if you ask me! Whenever he found a group of people who met these requirements (from Swiss villages, to Inuit, to African tribes) he studied them, paying particular attention to what they ate. If you would like to read his flagship book on this, it’s called Nutrition and Physical Degeneration (available at Amazon.com) and it’s fantastic. “Price took samples of native foods home with him to Cleveland and studied them in his laboratory. He found that these diets contained at least four times the minerals and water soluble vitamins–vitamin C and B complex–as the American diet of his day. Price would undoubtedly find a greater discrepancy in the 1990s due to continual depletion of our soils through industrial farming practices. What’s more, among traditional populations, grains and tubers were prepared in ways that increased vitamin content and made minerals more available–soaking, fermenting, sprouting and sour leavening. It was when Price analyzed the fat soluble vitamins that he got a real surprise. The diets of healthy native groups contained at least ten times more vitamin A and vitamin D than the American diet of his day! These vitamins are found only in animal fats–butter, lard, egg yolks, fish oils and foods with fat-rich cellular membranes like liver and other organ meats, fish eggs and shell fish. Price referred to the fat soluble vitamins as “catalysts” or “activators” upon which the assimilation of all the other nutrients depended–protein, minerals and vitamins. In other words, without the dietary factors found in animal fats, all the other nutrients largely go to waste. Many people think that if they just take supplements to make up the missing nutrients, that they’ll be okay. However, that is simplistic/incorrect reasoning, as this article details why a Vitamin B12 supplement won’t be enough. For ongoing health, Dr. Hal Huggins recommends that 40% of your calories come from animal fat. He recommends organic butter primarily and some fish oil. Make sure butter is certified organic (and ideally raw and pasture-fed) since all of the cow’s toxins, antibiotics, growth hormones, etc. will go through to the breastmilk and therefore the butter. 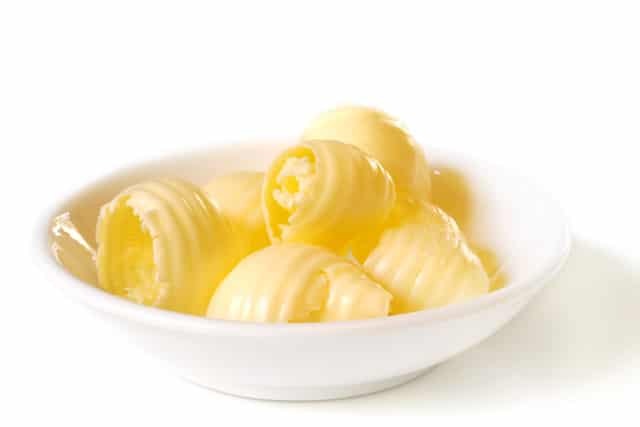 It’s very easy to get your daily quota of animal fat from organic butter – this works out to about 1/4 pound per day. That may work for you, or it may be too much – listen to your gut! Your body knows what it needs. 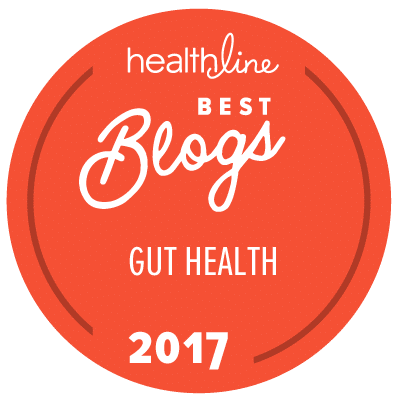 I’ve noticed from my own children (encouraged to ask their gut what their body needs/wants) that their diet varies greatly between all 3 kids, and they all do best when they listen to what their unique, individual gut wants – NOT their tastebuds! Slather cooked veggies, rice, cous-cous or pasta in salted butter or ghee. Put as much butter as you can on all ‘bread’ items; bread, toast, muffins, scones etc. I love unsalted organic butter about 1/8″ thick either plain on muffins or with jam on toast or scones – it just tastes like lovely cream, yum-yum. I also really like unsalted butter (almost that thick) on crackers topped with a slice of raw cheddar. Anytime you fry meat, fry it in butter or ghee, add some garlic and nothing tastes better. Pan fry, bake, (or steam) any white fish in lots of butter/ghee and a bit of soy sauce – enough melted butter to make a ‘gravy’ that you eat with the fish. Sprinkle fish with garlic powder too, if you like. You’ll be amazed at how good this tastes. Use the same ingredients (butter, soy sauce, garlic) and sautee shiitake mushrooms – this is a Japanese recipe called simply “Shiitake Butter”. Kids also love these. Melt butter, ghee, lard into your homemade bone broths – double nutrient whammy with the gelatin and butter and the butter improves the flavor of the broth. Or, simply leave some (all?) of the fat in your broth after cooking, rather than skimming it off the top. Scramble 2 eggs in 2 tablespoons of butter/ghee. If you have bacon fat from pasture-raised, organic, natural bacon, that too tastes divine. These are just a few of the ways you can easily and deliciously incorporate a good amount of animal fat back into your diet. I know, it will be hard at first, so start slowly and gradually build up. It takes time to combat the absolute avalanche of “animal/saturated fat is evil and will kill you” propaganda that surrounds us. But don’t worry, your health and tastebuds will soon convince you that you’re on the right path. After 3-6 months of getting enough animal fat from your diet, you will see an improvement in your skin and hair. After a year or two, you will likely appear to be “reverse aging”. It’s interesting to me that the omnivore vs. vegan debate usually focuses on meat – because I feel that animal fat is more important for optimum health than animal protein. Longstanding vegetarian cultures like the Hindu’s in India use animal fat extensively in all their cooking (ghee) and also consume whole fat dairy products (yoghurt) on a daily basis. Many vegetarians allow themselves to eat eggs and the yolks are a fantastic source of animal fat. All of the fat-soluble vitamins (A, D, E and K) are found in the egg yolk. Egg yolk is also one of the few foods naturally containing vitamin D.
The only caveat to this is if you are a growing child, or recovering from illness. In those cases, you also need LOTS of protein. Not just for muscle growth and development, but because so many of the body’s functions rely on proteins – from gene expression and communication, to wound repair. Great article, I am concerned however, because I’m lactose intolerant! What can I do to incorporate these animal fats into my diet, without upsetting my stomach? I’m currently taking some meds for my Crohn’s disease, and I’m taking a nutritional supplement called Reliv (vitamins in liquid form). As a Nurse working with people who require cardiovascular surgery (so many heart bypasses for so many clogged arteries), I think it is erroneous in the extreme to label any warnings about saturated fat/animal fat as propaganda! Your article could be considered butter propaganda. There is so much more to health than what we eat; we have so many hang-ups about the relationship between food and our bodies. The fact remains that people in the west generally eat more than they need and exercise less than they need to. We eat energy rich foods that are often nutrient-empty. We really don’t need that much butter to get the good things from it. People who eat meat don’t often know that a piece about the size of one’s palm is sufficient- and not daily! A diet rich in fruit, vegies, grains, cereals, legumes with fats, meat and sugary-treats consumed sparingly is more of a balance. If you can, aim to eat your vitamins and minerals by eating food, as fresh and as unprocessed as you can afford. Don’t get me started on the dollars! It is more expensive to eat organic, fair-trade etc. It is awfully hard when flare-ups and intolerances limit choices in nutrition but it is even harder to cope with the tsunami of misinformation that accompanies food, nutrition and health. AS for real pearls of wisdom, The Dalai Lama says, “Everything in moderation, including moderation.” Food is to be enjoyed and we need to enjoy fuelling and caring for our bodies despite the food politics out there. I my nine year old son has crohns, diagnosis 9 months ago. He is on his 2nd dose of setriods there is so much advices about what diet to follow and they are all so different. What diet have you found makes a difference to stopping flare ups, remembering that he is a nine year old boy ?? Thank you for this article on the dangers of a vegetarian/ vegan diet. I have eliminated red meats from my diet and added more legumes for protein, and feel an overall improvement in my digestion. I feel I need the extra benefits of the minerals and amino acids from wild fish and organic chicken, and I like my ghee butter too much! Thanks for the great comments everyone! Carlos: There is very little lactose in butter, typically 0.5%, so you should be okay with it, unless you are EXTREMELY sensitive. But in any case, if you are taking L.bulgaricus probiotic (Natren’s Digesta-Lac) then it will help you to digest the lactose. Lesley: Very good point about processed vs. unprocessed foods. I highly agree. “Drugs are not the answer. . . unless you are a drug company. The cholesterol-lowering drug “Lipitor” is the best selling drug on the planet. Yet it is well established that cardiovascular disease is not caused by a failure to take enough pharmaceuticals as a child. It is a lifestyle disease. My father is a smoker and a drinker, but he follows these guidelines and eats a Weston Price type diet and his cholesterol is fine. Appreciate you message. Friend advice to read you. It’s very interesting. Subscribed on RSS! Wanna read you more! If you are lactose intolerant, try using ghee in your diet. Ghee is clarified butter used extensively in Indian cooking. It is made by boiling butter. It is inherently casein and lactose free..
Pingback: Why Do People Become Ill? Vegetarian and Vegan Diets “not good for the Human Body”?? vitality. I heal faster now as an Adult, than I did when I was a child (meat-consuming). much in error, and sides with the Meat Industry. Please refrain in the future from writing anymore fiction…. I know many vegetarians who eat eggs, raw milk, cheese, or fish – all these are excellent sources of protein and if consuming them, then no, you don’t need to eat any meat. Everybody is free to make their own choices, and I doubt any one diet is suitable for everybody. In my case, I have a gene that sometimes causes an overactive immune system. The bad thing is that can cause inflammation. The good thing is that it fights bacteria and viruses. The gene, hlab52, is held by many people in the world – especially in areas where the traditional diet was heavily protein based. Maybe this is unscientific, but if my body has been equipped with a gene that seems specifically designed to assist in meat eating, then i would be silly and ungrateful to become a vegetarian. Add to this that I live in Japan, where vegetarians are a very rare species. People eat plenty of meat here (no 1 pound prime ribs, though) and live quite well. Niacin: you provide false info. Niacin can cause liver damage. If you go this route, have your liver function checked regularly. Instead you should write an article on the deficiencies of MSM in the western diet. MSM deficiencies cause hard, impermeable arteries. Impermeable arteries to not absorb cholesterol back into the blood stream. So the cholesterol binds with calcium to form arterial plaque. And MSM deficiencies cause calcium to be leached from the bones (to be used to replace new and damaged tissue), so we are told to take more calcium. Please do your research. Protein: You fail to admit that all living things contain protein. Vegetarians get a complete protein from beans, legumes and whole grains. There is also protein in all other fruit and vegetable sources. Meat only contains about 6 to 10 percent more protein than vegetarian sources. Animal protein cannot be assimilated by humans, it must be broken down into component amino acids by the digestive system. Animal proteins are more complex and require more energy to digest than plant sources. Magnesium foods: Your justification that not eating meat is somehow a violation of your genetics is false! We have that gene only to make survival possible in winter, when there are only animals to eat. Count the number of teeth in your mouth that are designed to eat meat, then count the number of teeth in your mouth designed to eat vegetables. Please take this article down. I searched “Vegan Diet Dangers” and came across this. This article is a danger for anyone who knows nothing about a healthy diet and takes you at your word. Read the China Study and find out about the degenerative diseases vegans are avoiding not contracting. “they are simply not good for the human body” – that is 100% incorrect. Vegetarian and Vegan diets aren’t dangerous as long as you’re doing it correctly. Protein is available in nearly every single food. Nuts/seeds, beans, ect. As long as you’re eating a variety of foods you’ll be fine. There are no nutrients that we need that are animal-derived. I’m a young adult and have been vegan for 3 years, and I’m perfectly fine. Pingback: Baby died at 11 months after being solely fed on breastmilk. 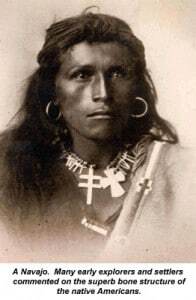 The portrait of the Navajo Indian looks awesome! He looks healthy and strong. Probably eats more vegetables than some other cultures, however. The Navajo are known for cultivating more than hunting, aren’t they? Compared to Eskimo’s, especially. Now which of those tribes has the greatest bone loss, or osteoporosis? Hmm… those meat eaters to the north get so much protein in their diet that they die early with the highest osteoporosis levels in the world. If I remember correctly, the average adult needs about 50 grams of protein a day. The average American actually gets between 150-200. Eskimos consume about 400. Probably due to extreme farming conditions… Getting 50 grams of protein a day is very easy with vegetables, as an earlier contributor has pointed out. It’s all about balance. Daniel Vitalis is a long-term vegetarian who recently started eating meat for health reasons – go see what he has to say. At the end of the day – if you feel strong, healthy, vibrant and all your health markers are good, then no worries! Also, I have a lot of friends who call themselves “vegetarian” yet they eat eggs, dairy and occasionally fish. Great. What more do you need? Especially if you consume raw and fermented dairy, that’s plenty of protein etc. For myself and my husband, we eat meat the way Japanese do – not the way Americans do. And only grass-fed, organic and often raw fish and raw dairy. 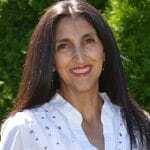 Jane Simons writes fiction – veganism and vegetarianism leads to many serious health complications over the long term. Perhaps Jane hasn’t been on her “diet” long enough to know the difference. It’s not about the meat industry. It’s about not abusing your body. Arrogant Jane Simons – please refrain from posting rubbish in the future. Thanks, dear! I need some encouragement here. Please, anyone, provide me a list of “true” vegan centenarians? Or at least some examples of long-term vegans with sound posture and and physical structure who have lived to an advanced age with a high quality of life. This is very important for this discussion to provide prime examples on both sides. Anyone can point out a single example to support their argument but that simply isn’t good enough. Forget ideology. if you are going to weigh in, do it objectively, please. In question to the vegetarian vs meat diet debate (you would think the meat eaters would have won by now given the vegetarians’ infamous pacificity) – I think research has clearly shown that, as in most cases, the extreme in either direction is contrary to good health and vitality. Having said that, there is evidence that eating less meat (or even having a mostly lacto-ovo with a side of fish every-now-and-then diet) is a much healthier way to live – for both your body and the planet. Some peer-reviewed research to back-up that claim: http://www.ajcn.org/content/78/3/526S.abstract. Buddists and Hindus make up the billions that are vegetarians – Gandhi, a vegetarian, died in 1948 (born 1869) at the age of 79 – which exceeds the life expectancy of men today from the Industrialized nations, so we can assume that it is hearty enough – even if you spend large chunks of your time on a hunger strike. But did Gandhi eat dairy products (usually yoghurt and ghee)? Half my family are Hindu and vegetarian, but they all eat ghee, butter, yoghurt, etc. so they are getting animal fat and animal protein – what more do you need? I would like to correct the wrong information on your article. Vitamin A, D are not only found in animal based foods. Vitamin A is also founds in plants such as sweet potatoes, carrots, oranges. Besides, there are distinct types of vitamin A and if you have the incorrect type, retinal, it can cause birth defects, however overdoing vitamin A is hardly an issue when it is attained from actual food as opposed to supplementation. Furthermore, Vitamin D can be synthesized by our own body and many dairy/non-dairy sources of calcium are also fortified with vitamin D. Vitamin A,D,E and K are FAT SOLUBLE meaning they need fat in order to be absorbed, yes. But vegetarians and Vegans do intake fat and that is usually not the problem. The problem is that certain people do veganism incorrectly.Technically, French fries and a coke is a vegan meal but is it healthy? Of course not. Like anything else in life, you need to balance it out. The masses like to attack the vegans and vegetarians because it is different, but tell me, is it really that different from people who only eat meat and potatoes? They are just as malnourished as a vegan that relies on French fries and coke. More people die due to their high intakes of saturated fat and cholesterol than they do because they lack it. Does this book you cited mention the studies done by Dr Ornish? He used a vegetarian diet to reverse heart disease in a scientific experiment or the vast studies done on vegetarians that prove they are the healthiest community in the United States? Lower cases of heart disease, diabetes, high blood pressure, among many others. As a future Registered Dietitian, promoting a more plant based diet and a gradual decrease of the “animals” is going to be my mission. The current recommended serving for “animals” is only 6oz/day max for a woman IF she consumes meat, otherwise, legumes, beans, nuts, peas, tofu serve as a great replacement. I always tell people you don’t need meat to survive and be healthy, you also do not need to leave it because it can be part of your life, culture and traditions, however, you need to reduce the intake to normal amounts and increase the vegetables, a more plant based diet is what is the optimal for everyone whether you choose to eat meat or not. As a R.D. in training, it is my job to show them how to have meals that are more plant based than animal based. Lastly, veganism calls for the person to be educated and willing to cook, variety is key and when variety is present, vegans can be healthier than the average American (there are many many vegan super endurance athletes around, look them up). My point is, veganism is not necessary (because as long as you have small amounts of “meats” and focus more on plants, you get great health benefits) and having too much animal based foods is very very dangerous, much more so than eliminating them. We do not need animal based foods to thrive. If anyone out there is considering becoming a vegan or vegetarian, I would suggest try vegetarian first and seek a RD to help you if you feel you have no clue. Vegetarianism or veganism isn’t just eating salads, so if that is what you think, please seek help before trying it out. ps I stopped reading what you had to say after the claim that vitamin A and D are only found in animal fats. RD – Okay, first of all, I’m amazed that you wrote such a long, detailed response, without even bothering to read my whole post! It would be helpful if you read my entire post, then go read the articles I reference. Then, if you wish to post a response, please back it up with your quoted sources. Saying “go look it up” doesn’t really serve any of us here. Please be aware that I am not trying to demonize one way of eating, nor claim superiority for another way of eating. I am merely looking at research, looking at the health of actual groups of people who ate in certain ways for long periods of time (multiple generations) and trying to draw some conclusions. Jaquelyn. My experience with loved ones under the dietary care of RD’s and RN’s in hospitals clearly demonstrates why hospitals make people sick. I have witnessed this many times. My Mother, upon awakening from lateral mastectomy surgery due to advanced breast cancer immediately asked for water. The RD in the recovery room offered her alternatives of coca-cola and processed orange juice in a plastic cup with a peel off foil top, then proceeded to add options of jello, ice cream, crackers, cookies. The only water option was from the tap. I ran down to the lobby and bought bottled water (best option available) for her. All options offered her contribute to the disease she was recovering from. All options presented were refined, processed foods containing sugar, which cancer feeds on, except tap water which from most municipal water supplies are notorious for containing carcinogenic substances. On the upside I have met RD’s and RN’s who have “broken out” after discovering their was a lot of indoctrination in their training and pursued health-building nutritional biochemistry. They are rare but they exist and you have to seek them out. Unfortunately, you will not find them in any hospital I am aware of. Though I convinced a couple of them to turn a blind eye as I smuggled in healthy food rejecting hospital fare, others vehemently opposed me. There is a whole world unknown to the vast majority of MD’s, RD’s, RN’s, other conventional practitioners and public health “experts”. I meet people every week that have departed from the “approved” protocols due to continued health decline only to dramatically improve in a short time. These once desperate people acquire a new lease on life. The success of vegetarians and vegans for improving health is largely due to selection of “clean” foods. They are more apt to choose certified organic foods that inherently have higher brix levels than standard supermarket produce. Studies showing animal products are unhealthy are done using foods laden with hormones, antibiotics, pesticide residues, and toxic compounds created by the presence them. Further, the animals are fed diets unnatural to them inducing stress that further degrades the food quality. You can bet that poorer health will result consuming food-animals raised this way! Absent are any large studies I can find using “clean” animal products such as raw organic dairy, grass-fed/finished organic beef, pasture free chicken, fertile eggs, wild caught fish. Animal protein and fats can provide nutrition at higher bioavailability and beneficial bioactivity than non-animal products – namely vitamins A, D, K, E, quinones, certain minerals – and function on different but necessary energy signatures and frequencies that produce better health than a diet devoid of these foods for most humans. Pharmaceutical drugs are not health-building nutritional substances and have never “cured” a chronic condition – just make them more bearable – however they are indispensable in the emergency room. Health-building is reserved to the nourishing benefits of good clean nutrient-dense foods, exercise, quality nutriceuticals/supplements, sound sleep. Remember that diet and nutrition is highly individualized so one diet NEVER suits all. Putting an Inuit on a tropical vegetarian diet could devastate their health. Discover your own individual nutrition/metabolic type and get comprehensive nutrition and hormone panels done and interpreted by one who is educated in nutritional biochemistry and let your dietary choices be your health insurance policy. And use supplements for your “shortcomings”. Where accidental injury is concerned you stand a much better chance of survival and complete recovery if your nutrient levels are high to begin with. Keep your mind open and stay out of the hospital! A bit of history: A diabetic, I am a cardiac victim/survivor who suffered a massive heart attack in ’04 which required emergency stent procedures for my LAD and RCA arteries…one was done the night of the M.I….and the second the following day due to the continued blockage in it. (They waited because the stress of doing two at once was historically fatal). 5 years later the stents sites began to occlude as predicted and I survived for 2 years on the collateral vein growth around the blockages. I was like a long slow moving slowing down freight train….getting slower and slower with each passing week until I finally went in and had a triple bypass done. It’s been nearly a year since my triple cardiac grafts were placed. I was diagnosed as a type2 diabetic just 3 years ago….but, I suspect I’ve been one longer due to the fact that every doctor I’ve ever seen asked me the question if I was. Always hovering around that “125 borderline” morning fasting number and nearly 200 on the non-fasting glucose rating. The highest I peaked was 265 once as I recall. My typical diet WAS: Bread eater. Bread eater DELUXE! I would set down and consume a half loaf of hot french bread with no worries at all (at the time). PIZZA! Loved my pizza….washed down with a bowl of ice cream. BAGELS….loved them in the morning. And none of those blah, hard, chewy whole grain ones either. Desserts were plentiful in all kinds of sugar….cookies, cakes, hard candy and candy bars galore. And I love all kinds of meat. Beef, pork, fowl and fish are always at my table…..both regular store bought, or cheeseburgers to the most expensive organically grown types. I ate farm fed and wild salmon like crazy. Love fish….especially fresh caught trout. Love the outdoors but am no longer a bird hunter. My “gun” of choice now is a camera and a sketch pad….being an artist who’s doing more landscapes now. Up to date: After my initial recovery from the surgery I began to follow exclusively the diet that the AMA suggested using the age-old typical “balanced diet pyramid” with lots of whole grains, fruits, non-fat, small portions of meat, and veggies of all types. After 3 months…my glucose numbers didn’t go down at all. So…..time for a radical change and at the suggestion of a nutrient based business person I started taking some “glucose support formula” and tried their recommended diet…which is basically the Atkins. I have been eating all kinds of meat and lots of green veggies. No fruits except for the blueberries and some grapes. I also have been enjoying my garden’s tomatoes daily now. Yum! The main thing I want to point out is I have basically cut out bread, all types, and grains. Since doing this for the past 6 months or so…..ALL of my numbers have come down. My morning readings are 100-110, my non-fastings are 135-150. And my cholesterols and trikes are all improving as well. My A1C glucose the other day is 6.9 – the lowest it’s EVER been. I’ve also been exercising more these days. I walk at least 2 miles a day plus all the normal activities I do such as playing drums in two bands and hiking around natural sites to get good pictures. 😉 No more pizza lunches. I get a cheeseburger with no bread….and throw away the fries. And water please! So, for now, this is what’s working for my 60 year old atherosclerotic body. I feel as good as I did ten years ago even after the heart attacks and a small stroke last year. And I agree with what Trip said…”STAY OUT OF THE HOSPITAL” The first meal they served me 2 days after my bypass was salisbury steak with gravy, juice in a box, margarine and a white ROLL! Lord help us!!! What do you think of Dr. Neal Bernard and his thoughts on reversing the effects of diabetes with a vegan diet? Didn’t care for Dr. Bernard’s method. WAY too much pasta and grains for me. All turns straight into sugar. Eating that much pasta and grains in his diets would be the same as eating a double handful of M&Ms. Probably worse actually considering the conversion sugar problem I have. Jini: What is your educational background? I was looking for where you attended college and what your degrees were but I could not find it. Trip: Hospital and food service are another animal. RDs RNs and doctors are pretty much trapped to using what the hospital will provide, stipulation, etc. It bites. Hospitals are a business sadly. Just like everything else in life, there are good and bad RDs, MDs PTs. Credentials do not guarantee great care or quality however it does increase your chances of getting it and at bare minimum that that person has has the education and training or would you or anyone go to a doctor that was not board certified? You may not like the doctor still, but then you move to another one that you like and problem solved. RDs have many specialties and there are some that specialize in holistic medicine and wholesome foods, vegetarians, sports nutrition, diabetes care, etc. You are very correct in your assumption that every person needs an individualized plan and not everything works for everyone. I should have said, a more plant based diet (notice I didn’t say meatless because it doesn’t have to be) is more beneficial to the general populations. There are certain conditions that do require more fat in the diet, however, like I previously mentioned, that not the vast majority of people. Here is one of the many studies published on the benefits of vegetarian diets from the University of Oxford. Again, to each his own. Just wanted to clarify that for the vast majority of people it is beneficial to have a more plant based diet that is balanced and varied. It is not dangerous and just because a high fat animal diet worked for the author doesn’t mean it will work for you or anyone else. We are part of the general population (where general guidelines apply) until otherwise diagnosed. Good night and happy days! I am done discussing. I urge people to research both sides before making any drastic changes to their diet. Consult professionals and if you feel like you dont like their ideals, switch to one you are comfortable with. Whether it is to go vegetarian (and if you have no clue how to go about it I would suggest to seek help before trying it out) or increasing fat in your diet, please consult your MD/DO/RD and seek medical clearance especially if you are considered high risk. Good night! Please delete my comments as I just noticed I pop out under google search in your blog and I do not wish to be associated with your forum/blog. Thank you and good night. Hey Geary….read up on the low glycemic index and the foods on it before commenting about M & M’s!! You showed how uninformed you are! And Jini, your doctorate degree came from??????? Hey Lee….I got the “M&Ms” quote about conversion sugars from a licensed dietician referred to me by my doctor. My glucose numbers are the best they’ve ever been now that I’m eating better animal protein. So, thanks, but I’ll listen to people that saved my life rather than a random anti-meat troller on a message board. And with that I think I will close the Comments section on this post. It’s been a lively exchange of information and I’m sure we will all keep moving forward with the ways of eating and living that work best for our individual bodies. Jacquelyn (RD) – I will not remove your comments as they caused a number of us to spend our time and energy responding to them. Please know that ANYTHING you put on the Internet – whether via a blog, Twitter, Facebook, LinkedIn, etc. is forever accessible by Google. Even if you delete content, photos, etc. at a later date, they have already been cached and likely re-posted other places on the Internet. So if you don’t want something linked to your name, then don’t use your name. Use a pseudonym, or initials only. I believe I can change the name associated with your postings, so I will go ahead and do that for you. Pingback: Tinas magmat » Är LCHF och SCD bra egentligen?